Bicycles and dancing go together perfectly as long as there is some good music. Thanks for the folks at the folks behind the Bicycle Music Festival that should not be a problem. The annual party in the streets of San Francisco, that combines biking with music and dancing, is back this weekend. 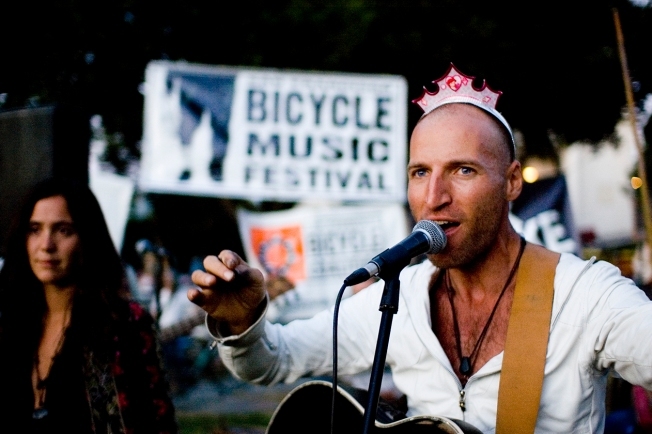 On Saturday at noon a myriad of bands will play for the masses followed by a bike through the streets at 5 p.m. The party will roll through Dolores Park, where Mission Mission reports a few bands broke out into song last year.